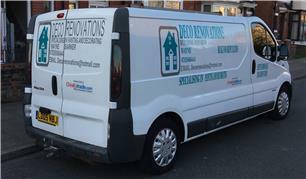 Deco Renovations - Carpenter, Painter/Decorator based in Portsmouth, Hampshire. Hi my name is Wayne Barker. I am the owner of Deco Renovations we specialise in all aspects of painting and decorating and always live up to a high standard of work. I have been in the trade for over 7 years and strongly believe that reputation matters. all aspects of work undertaken and fully insured to do so no matter how big or small. Full redecs to restoration of all wood work and doors. I pride myself in giving an excellent finish in all that i do. Please contact me for a free quote or any questions you may have. We are very competitive with our prices.